If you know me or have been following my blog, you know that my husband and I were in church ministry for over 30 years before being tossed to the curb by a church we’d served faithfully for many years. 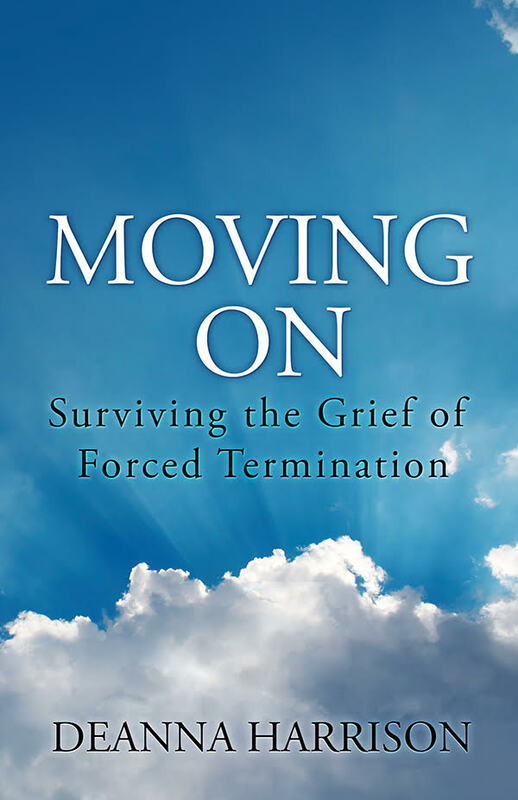 In short, we are survivors of forced termination which, inevitably, led to early retirement from the pastorate. I’ve come a long way in the years since that painful event, but I’m smart enough to know that I’m not completely healed. In the darkness when the grief was most intense, I begged God to remove the pain. I guess it’s only natural to ask God to remove pain when it decides to take up permanent residence in our lives. Even the apostle Paul begged God on three different occasions to remove his “thorn” but God simply replied, “My grace is sufficient for you, for my power is made perfect in weakness” (2 Cor. 12:9). True to His Word, God’s grace has been sufficient for me. Today there’s a hefty scar instead of the ghastly open wound that shrouded my heart for so long. But you know what? I’m still standing. 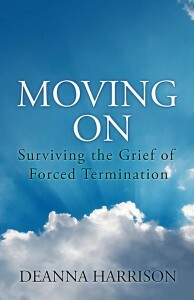 And for those who experience intense grief, simply standing is a victory. “If you think you are standing strong, be careful not to fall” (10:12). How are we supposed to stand when all we want to do is curl up and cry? How are we supposed to stand when we feel too weak to even sit up? How are we supposed to stand when our faith has been shaken to the core? 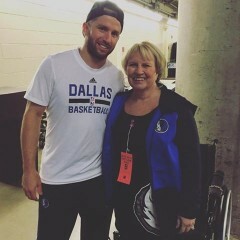 The answer lies in the photo shared above of Vicki Crumpton Metcalfe, standing with Dallas Mavericks’ player J. J. Barea. I asked her permission to share it with you and am so grateful she agreed. When you first glance at the photo, odds are the first thing you notice is Vicki’s huge smile. Not only is she a huge Mavericks fan but her family describes her as the self-appointed president of the J. J. Barea Fan Club. So of course she’s smiling! But if you look closely, you’ll see a wheelchair behind her. Because of her horrific battle with cancer, Vicki spends much of her time in that chair. But for this special photo, she wanted to stand. So J. J. Barea leaned down, lifted her out of the wheelchair and kept his arm around her, enabling her to stand. That, my friend, is how we stand. When we’re hurting, Jesus leans down and lifts us to our feet. We may still grieve, but His strength enables us to stand. With His arm around us, we not only stand, we stand firm. Thank you, Vicki, for sharing your special photo. What a beautiful representation of our Savior who enables us to stand.